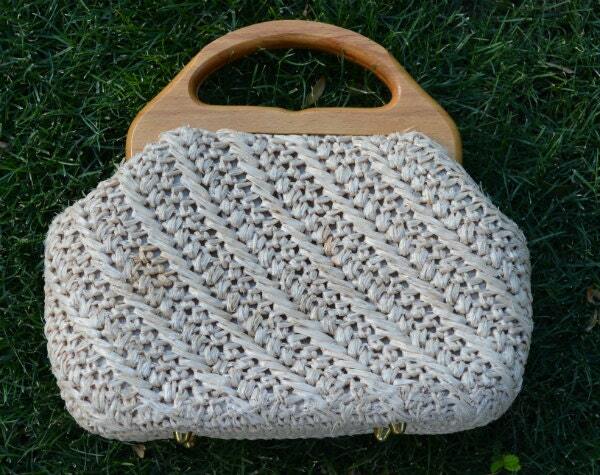 Adorable straw purse for sale from the 1960's. 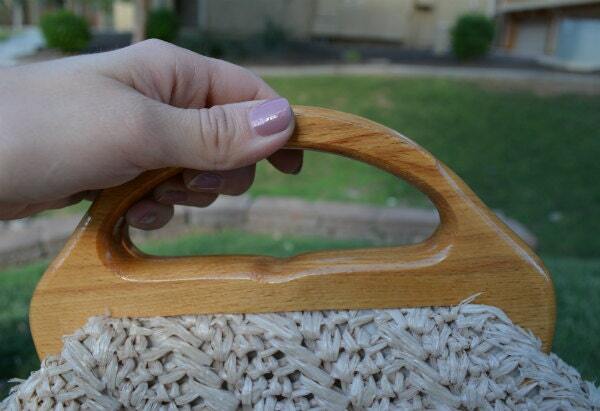 The handle of this purse is made from wood. 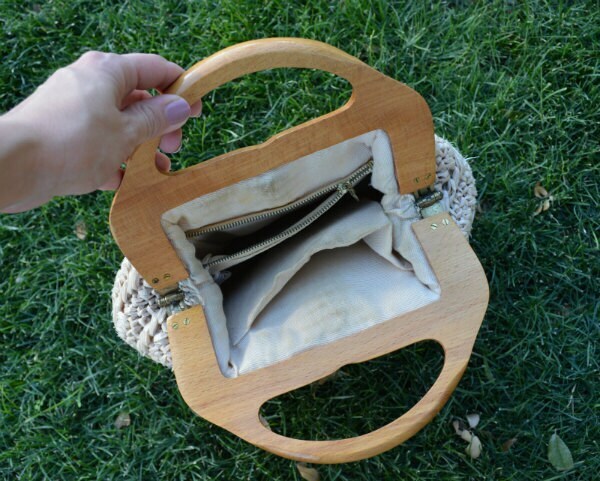 Inside the purse there are two small pockets. One of the pockets zips up. The inside of the bag is pretty roomy. 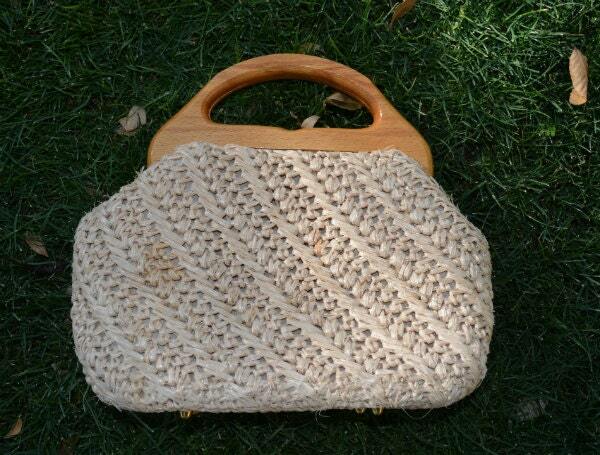 There are a little bit of stains inside the purse, but other than that this purse is in wonderful condition. 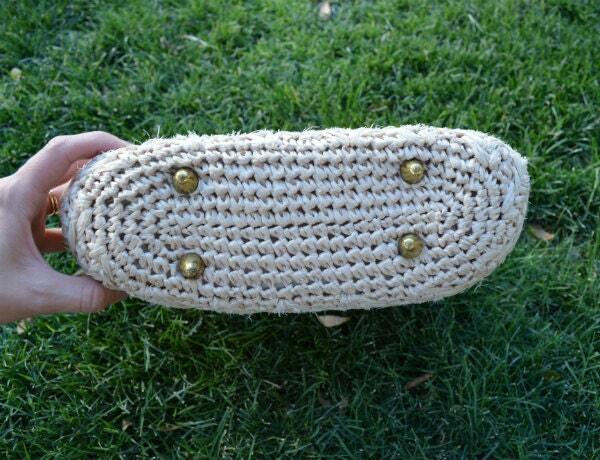 This purse would be so cute paired with a pin up inspired outfit or even with a boho chic look.